Pontigou Farm expands play with three typical farm buildings - a two story stone farm house, a small stone barn and a stone equipment shed. Each building has special sighting rules and provide excellent cover. 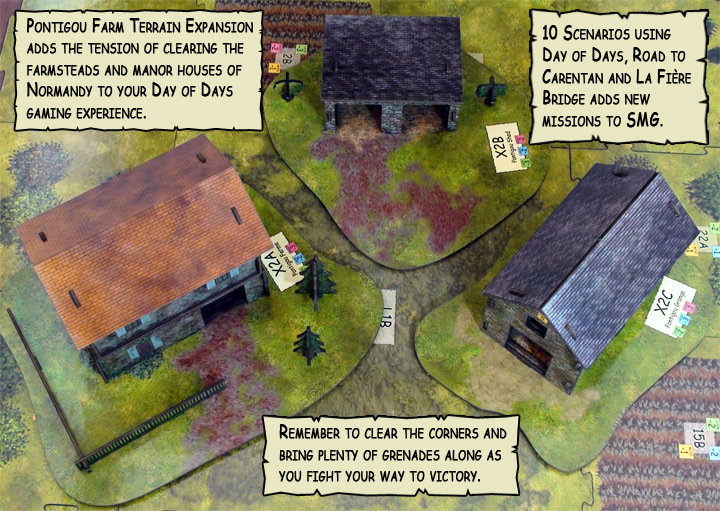 The ten missions at Pontigou Farm starts with a bare knuckle pre-dawn defense of Pontigou Grange. The story continues with scouting Pontigou Ferme, destroying an observation post, overruning a strong point at the Pontigou Shed. 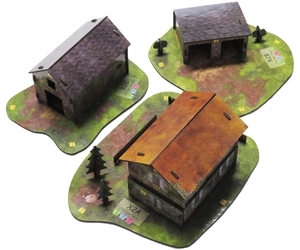 The six player platoon attack to secure Pontigou Farm will have you dragging your friends to the game table.